Roar! 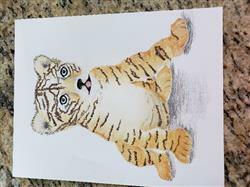 Using Derwent Coloursoft pencils and an embossing tool, you will perfect techniques to create lifelike colored pencil animals that jump off the page just like this adorable tiger cub. The clear and thoughtful instruction by artist Samantha Norbury will guide you through every step, color choice, tool and method. Embossing: How to use it to bring details like fur and whiskers to life. Samantha will guide you through using what she considered an invaluable tool when drawing big cats. Fur: From the direction of your pencil stroke to layering colors step by step, this guide will help you perfect realistic animal hair from start to finish. 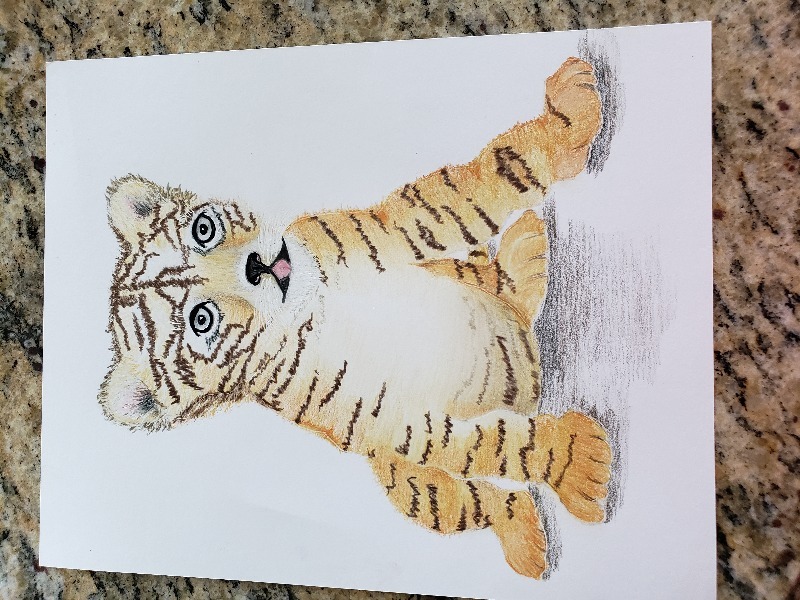 Derwent Coloursoft: In a rare tutorial featuring Derwent Coloursoft pencils, Samantha will show how they are a uniquely fitting choice for rendering fantastic wild cats like this tiger cub. Focus: The tiger cubs face is in focus while the body is out of focus. A perfect image to learn two new skills in one! Printed in the USA. Publish Date: April 2016. Note: Smooth White drawing paper not included. Very good. I substituted Polychromos pencils and was very happy with the results. I’m still in production of this cute fellow. The instructions are good, but if I compare them to the Husky that I did a few years ago, these lack some of that specific detail an accomplished artist can impart which takes a nice picture to an outstanding one. Super instructions-love the in-depth books. Just completed this tutorial and really enjoyed it. I decided to draw it on fawn colored paper, so I had to make modifications, but that added to the fun! I haven't used the tutorial yet, but I don't expect any problems.